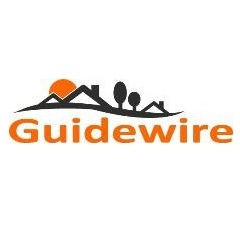 Guidewire, Inc is a not-for-profit human service agency supporting people with disabilities in community settings. We accept people for who they are and never give up on their potential. We believe in positive, unconditional regard and provide an environment where acceptance is the only option. Our Agency was founded in 1982, enabling adults and young adults with developmental disabilities and behavioral challenges to enjoy community living. We believe everyone deserves to experience a rich and fulfilling life within their local community. Our team is here to support them with well-trained and dedicated staff guiding them every step of the way. We have great success in increasing people’s ability to; achieve greater independence, improve skill repertoires, meet their goals, explore and gain new interests in the community, and simply enjoy life. Individuals are encouraged and empowered to make their own decisions so they can experience life to the fullest. We provide guidance to make positive decisions and teach self-advocacy skills and continuously advocate on their behalf. Guidewire has an outstanding Nursing Department and Master’s level Clinicians who are skilled in providing excellent care with our diverse population with diagnosis including; developmental disabilities, autism spectrum disorders, and psychiatric diagnoses. We have many other Programmatic Professionals on hand including Program Managers, Program Directors, and Directors of Residential Services. All of our Direct Support Professionals are certified in CPR, First Aid, de-escalation and safe restraint techniques, Medication Administration Procedures, and they complete many other training courses specific to the needs of the people we support.